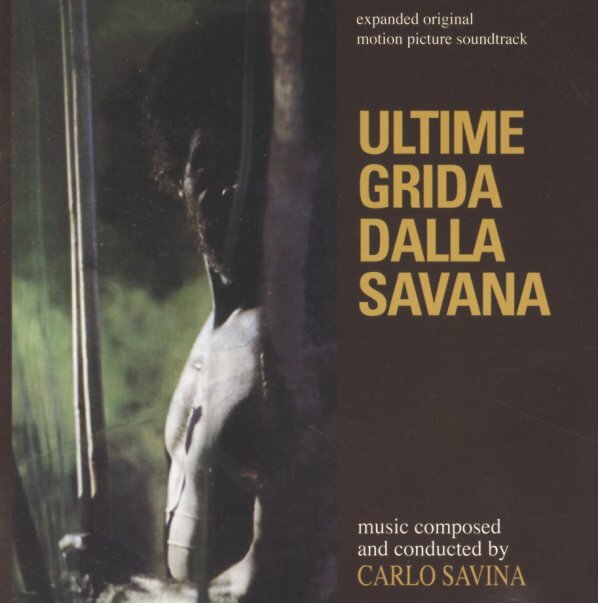 Lively sounds from Ultime Grida Dalla Savana – a 70s exploitation film that continued the "wild world" tradition of films like those in the Mondo Cane series! The setting here is the African savanna, but the music is mostly orchestral – a combination of driving themes that are right out of the sound library generation, mixed with other numbers that are maybe a bit more sensitive, in a soundtrack sort of style. Yet the lively numbers really dominate – and although we've never seen the film, the use of sprightly strings, bubbling electric bass, and even some wordless whistling must have been a great contrast to some of the images on the screen. Titles include "Questa Grande Terra", "Holland & Holland", "L'Armadillo", "Morgan Il Cacciatore", "Morte Di Un Animale", "Orango In Liberta", "Ragazzi In Festa", "Festa Paesana", and "Gli Struzzi". This expanded CD version features the full original album, plus 14 more tracks from the film score, and even three vocal numbers – "My Love" by Ann Collin, and "Leave The Rest For Me" and "For You & Me" by Gilbert Kopland. © 1996-2019, Dusty Groove, Inc.